An overview of the 'two books' of God - nature and Scripture - showing that they give complementary descriptions of one single reality. It grapples with key contemporary issues like the nature of consciousness and care of the environment. The book argues strongly against the idea of 'a God of the gaps' and against a conflict view of science and Christian belief. It demonstrates the essential role of faith in shaping and nurturing the enterprise of science. The book provides an essential perspective for a society dominated by science and its consequences. o Brings together Christian thought and the natural scientific disciplines. o Includes a discussion of the important debates and interpretations in the last 25 years. Science, Life and Christian Belief by Malcom Jeeves; R.J. Berry was published by IVP in July 1998 and is our 62735th best seller. 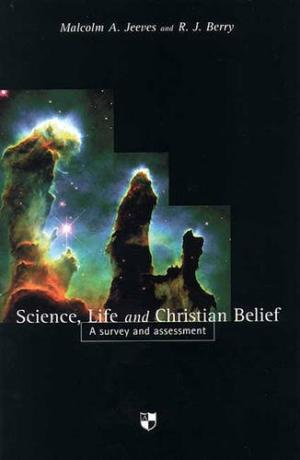 The ISBN for Science, Life and Christian Belief is 9780851114590. Be the first to review Science, Life and Christian Belief! Got a question? No problem! Just click here to ask us about Science, Life and Christian Belief.